There’s this thing I call “cubicle elbow.” Sitting at my desk all day at work with my elbows on my desk causes me to get holes in the sleeves of my shirts. It’s super annoying! 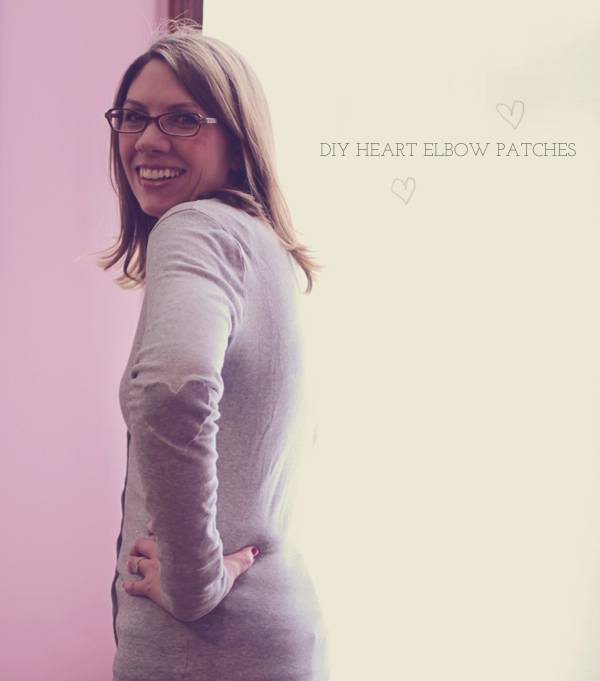 When it happened to one of my favorite cardigans from J Crew, I decided to get creative and find a way to save it with a quick and easy heart elbow patch, perfect for Valentine’s Day. My favorite kind of DIY projects are easy and fast. I don’t have time to spend all day working on something elaborate. 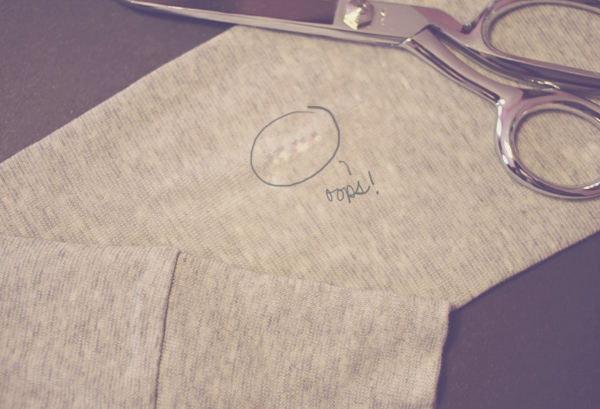 I was able to fix my sweater — and I think make it even cuter than before! — in 15 minutes or less. Perfect. I decided to use an old sweatshirt that had shrunk to cut the patches. I liked how the greys matched for a subtle tone-on-tone. Since I wear this cardigan a lot, I didn’t want anything that would limit its wearability or really scream “look at my patches!” I’d love to do this project again on another sweater with a contrasting color patch because I think that would be really adorable. Here’s what to do: 1. 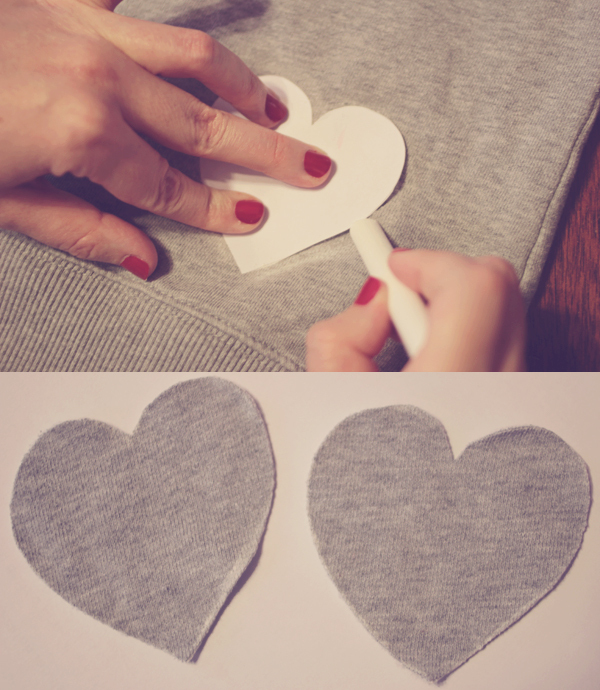 Draw a heart on a piece of paper and cut it out. This will be your template. 2. Trace that onto the fabric you’re using for the patch. I traced in chalk because it cleans up easy and I didn’t have to worry about cutting perfectly inside the lines like I would if I’d used pen. 3. 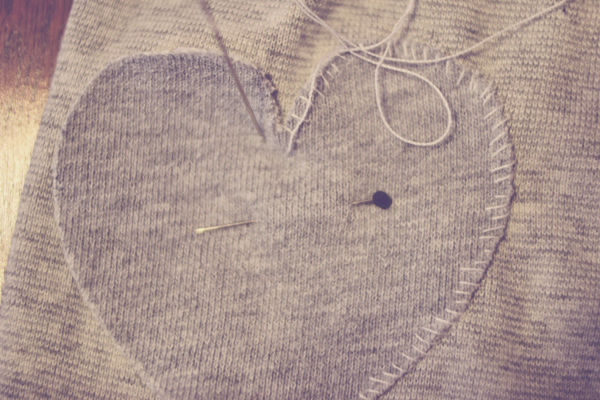 Cut out your heart shapes and attach them with a pin to your sleeve. I put a piece of paper inside my sleeve so I wouldn’t accidentally sew through both sides. 4. Sew all the way around and you’re done. I didn’t worry too much about perfect stitches. I like it when things look a little homemade and imperfect. It adds to the charm! * I actually did this project a long time ago, which explains my totally different hair color! And forgive me for being the most awkward model ever. I think people are getting crazier and crazier with their elbow patches these days. I love your gray-on-gray hearts! Like your sweaters mine also suffer from “cuticle elbow”. What a wonderful idea. I’ll have to try it! I think there’s something about our desks that ruin elbows! Thanks for reading, Anne! !